In 1939 before everything changed, Hannah Rosenthal lived a charmed life. Her family moved in Berlin’s highest social circles, admired by friends and neighbors. Eleven-year-old Hannah was often taken by her mother for an afternoon treat at the tea room of the beautiful Adlon Hotel, both dressed in their finest clothes. She spent her afternoons at the park with her best friend Leo Martin. But, in an instant, that sunlit world vanished. Now the streets of Berlin are draped with red, white, and black flags; their fine possessions are hauled away, and they are no longer welcome in the places that once felt like home. The two friends make a pact: come what may, they promise to have a future together. As Hannah and Leo’s families desperately begin to search for a means of escape, a glimmer of hope appears when they discover the Saint Louis, a transatlantic liner that can give Jews safe passage to Cuba. 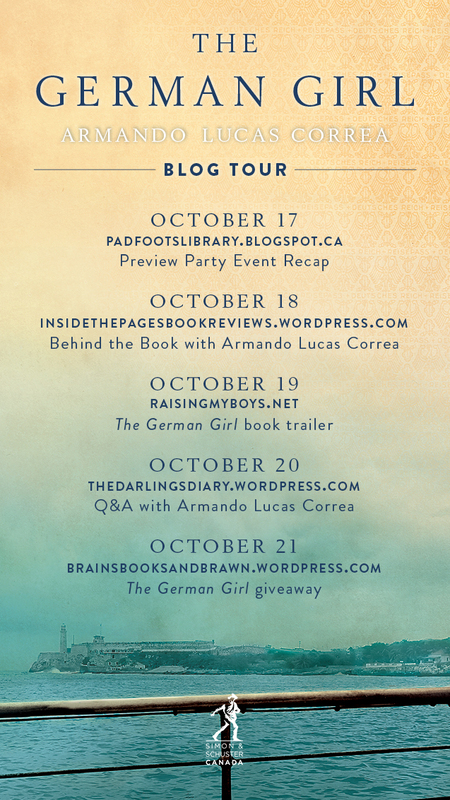 After a frantic search to obtain visas, the Rosenthals and the Martins depart from Hamburg on the luxurious passenger liner bound for Havana. Life aboard the ship is a welcome respite from the gloom of Berlin—filled with masquerade balls, dancing, and exquisite meals every night. As the passengers gain renewed hope for a bright future ahead, love between Hannah and Leo blossoms. But soon reports from the outside world began to filter in, and dark news overshadows the celebratory atmosphere on the ship; the governments of Cuba, the United States, and Canada are denying the passengers of the St. Louis admittance to their countries, forcing them to return to Europe as it descends into the Second World War. The ship that had seemed their salvation seems likely to become their death sentence. After four days anchored at bay, only a handful of passengers are allowed to disembark onto Cuban soil, and Hannah and Leo must face the grim reality that they could be torn apart. Their future is unknown, and their only choice will have an impact in generations to come. The German Girl left me speechless. The story and suffering explored within it are both heart-breaking and eye-opening. History classes throughout high school and even post-secondary education were very open about how badly people suffered in Europe as a whole but specifically Germany during this time. Very rarely, however, have I had the information presented to me through such a personal medium. It’s one thing to see numbers and pictures of concentration camps and a whole different realization when you read about one particular character or family. My fascination with the stories of those persecuted at the hands of the Nazis and the idea that certain groups are impure and need to be eradicated began when I received a copy of The Diary of Anne Frank as a prize for my debating skills in middle school. At that time I only had the faintest notions of the horrors and suffering and reading about a girl not that much different than I was being in such a situation sparked something within me. 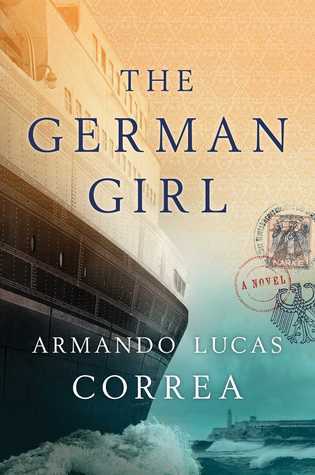 Many years later, Armando Lucas Correa has done the same with The German Girl. The way the story was revealed alternating between Hannah and Anna was done beautifully. Where one would leave off with just a bit of a revelation, the other would pick up in the next section but a few steps prior to the actual ‘reveal’. This way, not only did you get the information but you also got all the bits leading up to it. It was woven together stunningly. I never felt lost or as if things we’re being said too many times. Every step and every repetition of a certain happening was deliberate and well-constructed. I started my reading intrigued and wound up engrossed. The power of Armando’s story is that I found myself able to insert other people into it. While he was weaving the history of his Rosenthal’s, I could now place experiences like this with other families. It is not often that I wish to have my mind drawn outside the context of a book but in this case it was a welcome occurrence. This is a stunning historical fiction novel. This is not a genre I regularly read but will dive in when I find one pertaining to a certain point in history of particular interest to me. Armando is not only an excellent writer (in a technical sense) he is also an incredible story teller. For two points-of-view so far apart in time and from characters that live such different existences to intertwine so seamlessly is an incredible feat. This is a book that will forever have a place on my shelf and that I will thrust at anyone who loves fiction like this. The German Girl is just beautiful. The lovely folks at Simon & Schuster Canada are providing a finished copy of this amazing book for one luck Canadian. Head to the Rafflecopter and get your entries in! Wonderful review! I’m really curious about this book now, it sounds like a mesmerizing story.